The Kia Rio 5-Door is a spin on the compact sedan. It has everything you need in a compact - efficiency, convenience, comfort - and it doesn’t sacrifice style to get it. The Rio 5-Door offers an Active Eco System which helps to further improve the fuel efficiency. It has a dynamic interior which includes driver-focused design and offers a roomy space for passengers. The interior fabric has a luxurious feel that envelopes the passengers to make them feel comfortable and secure. There are three trims available on the Rio 5-Door: LX, S and EX. The LX trim has a manual or automatic transmission option, while the EX comes standard with automatic transmission. 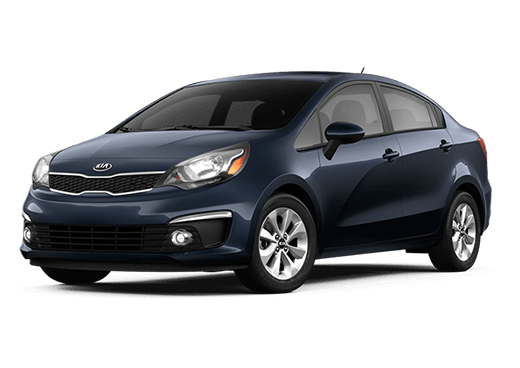 If you are looking for a compact sedan that offers many add-ons and upgrades to make it your own, then you need to check out the Kia Rio.